Cartoon Network has drawn some controversy after they aired what’s believed to be its first openly gay couple on one of the network series, Clarence. 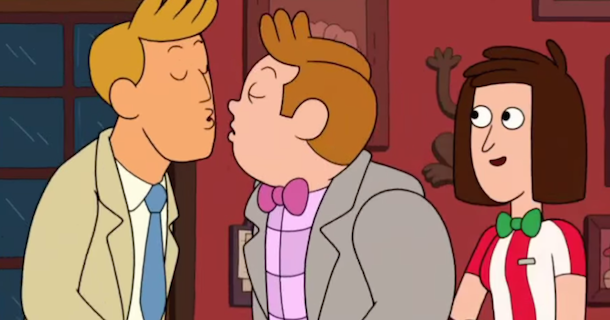 The writer of the show said that in the episode titled “Neighborhood Grill,” the two men who met for a date and proceeded to kiss on the cheeks was actually written to be a kiss on the lips. That kiss was censored by the network.